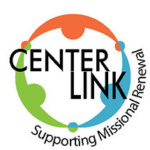 In 2018 the Center for Parish Development will be celebrating 50 years in service to the church. We – the staff, partners, Board, advisors, and clients of the Center – have learned much that is worthy of attention in the church today. 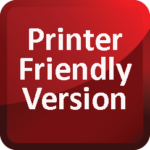 In the North American context where so much has changed we want to share some of what is making a difference. 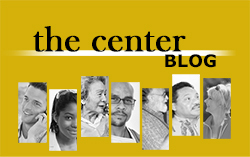 We will be sharing fruit from this work in this Center Blog over coming months to celebrate the Center’s 50th Anniversary. calls into existence the things that do not exist” (Romans 4:17). Transformation involves congregations in learning to make major changes in their ways of perceiving their calling and mission, in ways of thinking about their calling and mission, and in ways of living out and demonstrating that calling and mission. When the Center was founded in 1968, churches in North America were taking to the streets – that is where the energy and creative edge was located as the church sought to enter into the world’s fray and engage society’s great challenges toward peace, reconciliation and justice. But at the same time also, all of the statistical indicators of church life – size of membership, worship attendance, income, and status – began a steady decline that continues to this day. Today, survival concerns haunt many churches erected over these decades and before. How do we get more members, especially younger people? is a question heard almost everywhere. The challenges facing the church today are many and varied, often presenting themselves as problems to be solved, or failures that need fixing, all with a great sense of urgency. 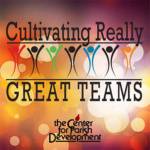 What we have found through the long and steady work of the Center for Parish Development is that churches are energized to begin a journey of renewal when the conversation’s focus is shifted. 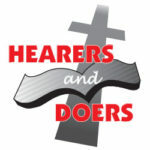 Heads bent over with worry and concern, with ringing hands and dejected faces, begin to lift when the starting point for their conversation about their church is re-considered or even challenged. What is this reframing? 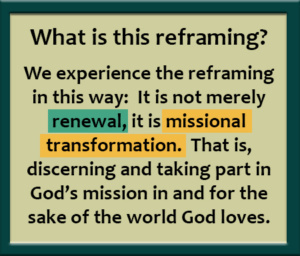 We experience the reframing in this way: It is not merely renewal, it is missional transformation. 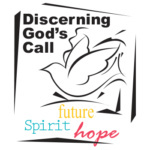 That is, discerning and taking part in God’s mission in and for the sake of the world God loves. So, if anyone is in Christ, there is a new creation: everything old has passed away; see everything has become new! All this is from God, who reconciled us to himself through Christ, and has given us the ministry of reconciliation; that is, in Christ God was reconciling the world to himself, not counting their trespasses against them, and entrusting the message of reconciliation to us. (2 Cor 5:17-19). The mission of the church is to discern, celebrate, and participate in God’s mission. The greatest challenge facing churches today is to develop sensitivities, vision, and practices for taking part in what God is doing in the world today. The many efforts churches are making to “keep up” or “survive” are futile if this fundamental challenge is not addressed. This challenge often presents a learning curve for churches. Indeed, missional transformation of the church is a learning journey of spiritual depth with congregation leaders and participants together as they discern and embody God’s mission anew. 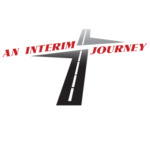 To reframe the challenges churches are experiencing today as a theological challenge and strategic opportunity is to take up the journey of living missionally. And that is, essentially, to consider a congregation’s life and ministry in all of its aspects in light of its participation in God’s mission. Taking part in God’s mission invites a congregation to become open to the Holy Spirit together, to hear the Gospel as though for the first time. As a congregation it involves allowing the Spirit to examine and convert the faith community into Gospel-like habits and fresh attitudes. Missional transformation involves engaging hearts and minds with the gift and call of the Gospel for God’s mission in these times. It is NOT as much about developing new programs and activities for the church as it IS about re-discovering and cultivating the church’s core and life-giving practices. It is an opportunity to discover the motivation and energy for being God’s “sent” community in very concrete ways in a very real world. Consider the daily news on the web, in the newspaper, cable TV, radio talk, or even the conversation with friends and neighbors. It doesn’t take long to realize how much the world is in need of a new creation! God’s mission is a mission of hope, healing, and reconciliation for the world. And God’s mission has a church – a body of people called to a common, singular purpose to proclaim and embody God’s New Creation in the middle of the old. Most folks want good things for their church’s future. Why wouldn’t they? But the temptation is to think that a new parking lot or more vibrant worship is the primary need, or maybe a dynamic outreach program, more satisfied members, or better sermons. While deep down, there is a sense that something is missing if these “needs” become the focus and starting point.What a difference it makes when the understanding is shared that the starting point is God. The church, after all, is God’s idea, not ours. The church has no mission apart from God’s mission to the world. Instead of starting with our needs, let us start with God: God is powerfully present in this world, actively loving the world and calling a people to share in that work. 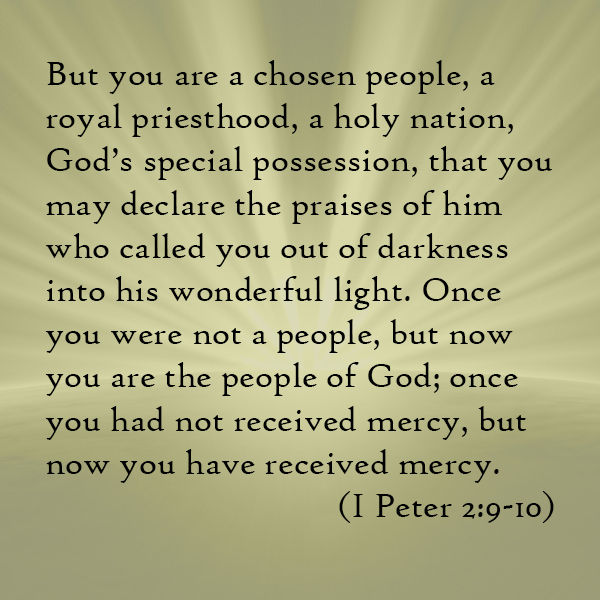 Imagine your church as a people chosen and called for this purpose (I Peter 2:9-10). Imagine your church existing for this purpose alone. God’s mission has a church – your church – and is calling your church to bring the good news of the Gospel into engagement with the deep yearnings and concrete challenges of this worldly setting. Imagine. Participating in God’s reconciling work in the world is not a solo project for isolated individuals. God’s reconciling work requires the formation of a disciple community – the contemporary body of Jesus Christ, faithfully working, learning, worshipping, and witnessing together so that all might know, believe, and live by the wonderful Good News of Jesus Christ. God’s Spirit is forming, reforming and renewing the church in each generation for God’s mission in the world. 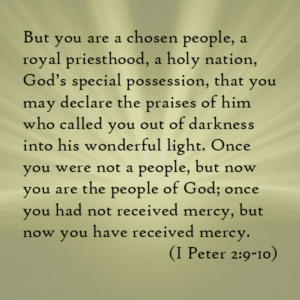 God’s mission has a church. God’s mission has a church because God’s loving purposes on behalf of the whole creation do not just fall from heaven. Instead, God’s mission gets carried out through God’s active calling, sending, and equipping a body of people to discern, celebrate, and participate in God’s mission. And that ‘body of people’ is the congregation. Missional transformation then is about what God is doing. And for the church, missional transformation involves discovering and discerning what God wants to do through us in this time and place for the sake of the world God loves. Will you join the mission? 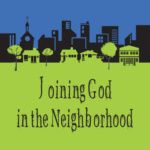 Will you seek to discover what God is doing anew, what God wants to do through your congregation now? 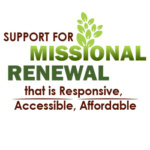 In the coming weeks and months as we get started on a year-long, Going to the Roots of Renewal and Hope, a few major themes and practices of missional transformation and hope will be unpacked. We invite you to come back for more, and to engage in the dialogue through the interactive features in this blog! What difference does it make to “start with God’s mission” when we are considering how to strengthen and renew our church life and ministry? In your own words, what would you say an invitation to missional transformation in the church is about? 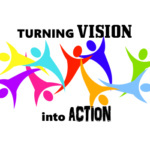 What are your hopes about missional transformation? What are your fears?